How Does Filing For Chapter 13 Affect a Foreclosure Proceeding Against Me? Many Miami-area residents fall behind on their mortgage payments. If you are in this situation and are now facing foreclosure, filing for Chapter 13 bankruptcy may offer you a chance to keep your house. When you file for bankruptcy, the court issues an “automatic stay,” which prevents your creditors–including your mortgage lender–from taking any further collection or enforcement actions until a bankruptcy judge has a chance to review your case. Under Chapter 13 your debts are not simply wiped out. Instead, you must file a repayment plan that can last up to 5 years. So if you are behind in your mortgage, you can use a Chapter 13 repayment plan to catch up. It may also be possible to “strip off” or re-categorize second and third mortgages as unsecured debt if your home has lost value. Chapter 13 can delay or prevent foreclosure. But it cannot reverse a foreclosure that has already been completed. A recent decision by the U.S. 11th Circuit Court of Appeals, which has jurisdiction over bankruptcy cases from Florida, helps illustrate this point. The debtor in this case owned a house in Orange County, Florida. The debtor filed for Chapter 13 protection in December 2013, listing the residence as an asset. Subsequently, the debtor moved for sanctions against Fannie Mae, which he claimed sent him a “letter seeking to take possession” of his house, in violation of the automatic stay. But as it turned out, Fannie Mae was already the lawful owner of the house. In September 2012–about 15 months before the Chapter 13 filing–Fannie Mae bought the property from the original mortgage lender after a Florida state court issued a “final judgment of foreclosure” against the debtor. Indeed, the debtor himself submitted the documentation of this judgment and sale to the Bankruptcy Court as part of his filings. Consequently, the Bankruptcy Court granted Fannie Mae’s request to lift the stay, allowing it to take possession of the house. The debtor objected, arguing he was at least entitled to a hearing on Fannie Mae’s motion, but the judge said that was unnecessary. The only accommodation the judge offered was to give the debtor 30 days to move out of the house. Rejecting the debtor’s appeal, the 11th Circuit ruled the bankruptcy judge did nothing wrong. 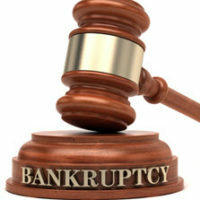 Although bankruptcy is a matter of federal law, federal courts have no authority to review a pre-bankruptcy foreclosure judgment issued by a state court. The bankruptcy court was therefore required to grant Fannie Mae “relief” from the stay. Do You Need Help Keeping Your House? Had the debtor filed for Chapter 13 before the lender obtained a foreclosure judgment, he may well have been able to stay in his home. The lesson here is to not wait until it is too late. If you are struggling to pay your mortgage or other debts, you should speak with a qualified Miami Chapter 13 bankruptcy attorney as soon as possible. Call the Law Offices of Julia Kefalinos today at 305-676-9545 to schedule a free consultation with an experienced bankruptcy lawyer who can help you and your family.